The Argentina centre-back is under contract with Valencia until 2019. "Once everything is resolved, we will make decisions and the club will announce everything," Valencia coach Nuno Espirito Santo said. "For a few days now we have prepared for this game without the option of using Otamendi. Tomorrow's game is crucial for us." 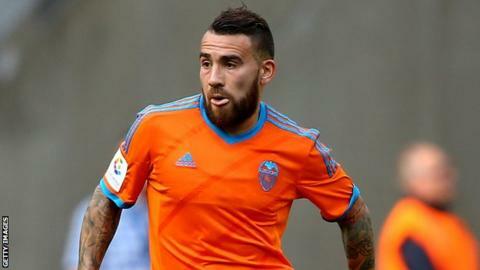 Otamendi joined Valencia last summer from FC Porto and scored six goals in 25 league appearances to help Los Che finish fourth in La Liga. The defender - who has also been linked to Manchester United this summer - was a member of the Argentina team that finished runners-up to Chile in the Copa America last month.